This allows for a flat-floor performance area (a sprung dance-floor) of up to 20'x 30' and seating up to 176 in a variety of combinations, or 275 standing. Built by the community for the community, our aim is to provide a professional venue, equipped to a high standard for the local non-professional drama and music societies, whilst remaining as affordableas possible. There are tours available. From the M25 junction 28 follow A1023 into Brentwood town centre. 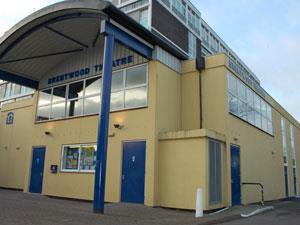 Brentwood Theatre is situated just past Wilsons Corner, behind the Hermitage. We are equi-distance from both Brentwood and Shenfield stations. Patrons should follow signs for the High Street or else may wish to hail a cab from the station ranks.